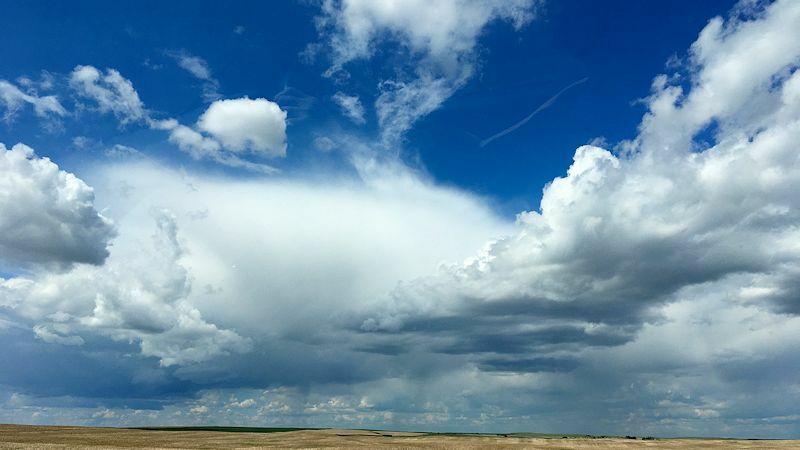 "Land of the living skies" is actually what is written on Saskatchewan licence plates and this picture was taken in Alberta but the title describes the skies that can be seen throughout the prairies. It has been said that one see ones dog run away for days in the Prairies (it is so flat). This is a slight exaggeration but you do see some wonderful cloud formations in the prairies.